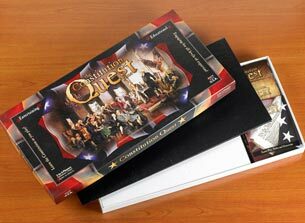 Our family began creating The Constitution Quest Game® in July, 2010 to increase Constitutional Literacy in America. We, the People, need to read the Constitution and know what it says, in order to ensure the blessings of liberty for ourselves and our children. We wanted to dismiss the notion that the U.S. Constitution is a dusty, old document that is no longer relevant. It is, in fact, urgently and palpably relevant. Many would also be surprised to find that the genius of the Constitution is remarkably accessible to the average person, so we resolved to provide a fun, easy and effective way to learn it. 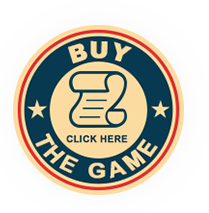 No matter what age, people love games, so it made sense to develop a game that was engaging, entertaining and educational. As a family of teachers with extensive experience creating curriculum, activities and games to help engage students in order to maximize student achievement, we knew we could apply those same research-based strategies to teach people the basic content of the U.S. Constitution. 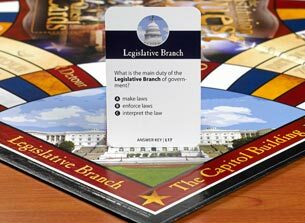 Since people learn 95% of what they teach to someone else, we carefully designed all 5 decks of cards containing Constitutional content that players read aloud top each other in an un-intimidating, test-taking format. We integrated the element of chance in several ways that heighten the excitement while reinforcing the material. this keeps it fun for everyone, so you don't have to be a Constitutional expert to play or win. The idea is to learn as you play. In designing the game, we felt it was important to make a functional and beautiful piece of art. As players move along the rich red, marble white, deep blue and gold path, they are drawn into a sense of the richness of our country's most important document: the Constitution. The board itself is designed to make abstract concepts in the Constitution, such as the branches of government, or the impact of violating the Constitution, concrete and easy to grasp. We also wanted to be aware of the Constitutional Signers who sacrificed so much to ensure that "We the People" have the power. 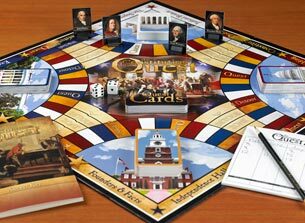 For that reason, players choose a signer to be their game piece and one of our 5 decks is called "Facts and Founders." It is our belief that unless Americans improve their Constitutional IQ, we could be in danger of losing our republic as we know it. In the words of President Ronald Reagan, "Freedom is never more than one generation away from extinction. We didn't pass it to our children in the bloodstream." However, we can pass on to our children and grandchildren the love for and knowledge of the U.S. Constitution. 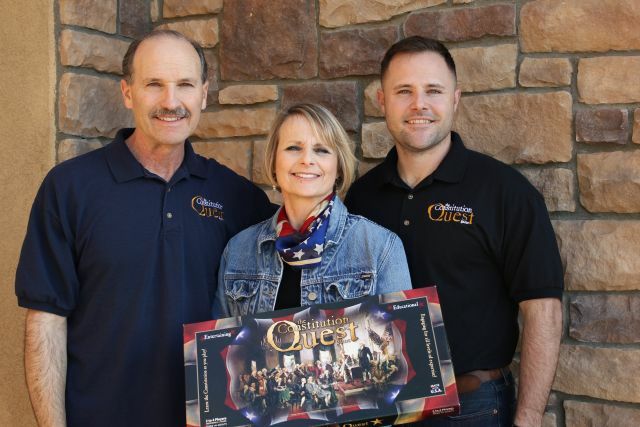 We believe the Constitution Quest Game® will help the Constitution come to life in a vibrant way for our neighbors and for their children and grandchildren, preserving our republic by elevating Constitutional Literacy.